Court rules on Russian bitcoin suspect's extradition to U.S.
ATHENS -- Greece's Supreme Court has ruled in favor extraditing a Russian cybercrime suspect to the United States to stand trial for allegedly laundering billions of dollars using the virtual currency bitcoin. 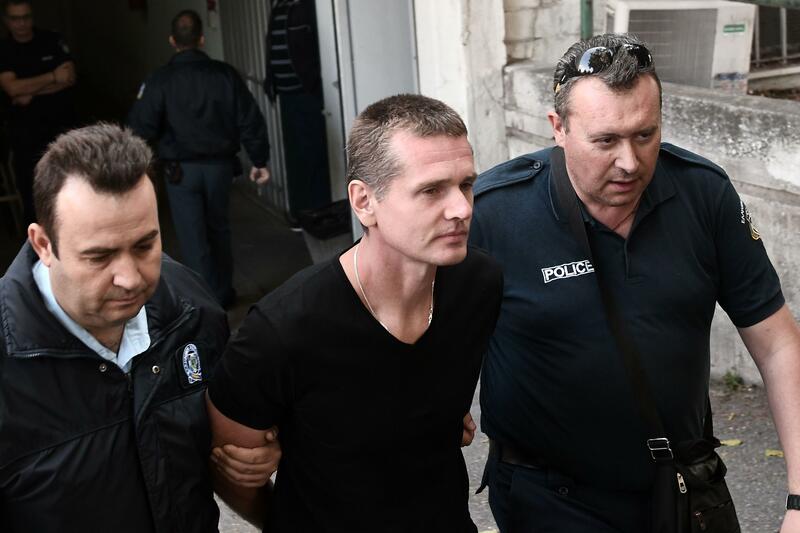 Alexander Vinnik made his final appearance at an Athens court Wednesday amid an ongoing legal battle between the U.S. and Russia, who are both seeking his extradition. Greece's justice minister will ultimately decide on whether Vinnik will be sent to Russia or the U.S. The case was heard amid growing global interest in virtual currencies and their underlying blockchain technology, fuelled by the ongoing boom in the price of bitcoin. U.S. authorities accuse Vinnik of laundering $4 billion worth of bitcoins through BTC-e, one of the world's largest digital currency exchanges, which he allegedly operated. Ilias Spyrliadis, a lawyer for Vinnik's defense, said they would formally respond after Wednesday's decision is published, in about one week. "The Supreme Court has in essence accepted that our client should be sent to the United States," the lawyer said. "Our client has not made any response. He listened to the ruling as it was read out ... It is now up to the justice minister to decide when and where our client will be sent."